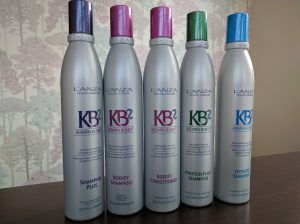 L’Anza’s exclusive KB2 complex replenishes vital protein to heal the hair with organic botanicals and anti-oxidant vitamins leaving hair soft, shiny and radiant. Double UV sunray protection and free-from formulas (paraben-free, gluten-free, sodium-chloride-free) make all KB2 products colour safe and keep hair and scalp healthy and beautiful every day. 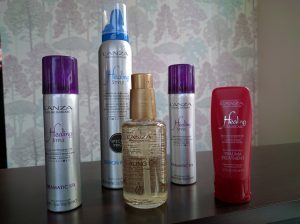 L’Anza also offer a range of styling products.